The ILC presentation feels like an entire lifetime ago… A lifetime in which I’ve been generously given amazing opportunities. I remember being so excited for the presentation at my school. 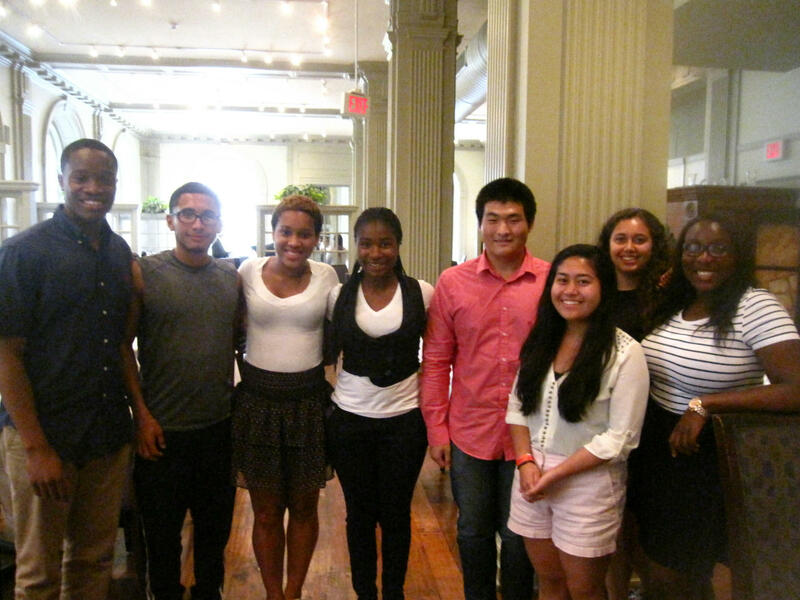 I barely knew anything about it then; I only knew that amazing students have been part of the Ivy League Connection. Even then, simply being invited to the presentation was enough to give me hope. The ILC’s acknowledgment of my grades and achievements, no matter how trivial and insignificant they may seem now, gave me hope that yes, I can go far. At the time, however, I never knew the extent of how far the ILC would take me. I vividly remember sitting in that classroom, riveted by the stories and experiences of the ILC alumni. I remember looking at my friends’ faces, sure that my own face was reflecting the excitement I saw in theirs’. That was the start of this journey. I remember writing my essays, hoping they were good enough—the days spent editing them in the library at school, or rushing home after a club or class meeting to finish one. I remember, of course, the rush of joy and nerves I felt after finding out I had moved on to the interview. Of course, the feeling of being heartbroken after being turned down after an interview is hard to forget as well. Yet what I remember most? The day I found out I was going to the University of Chicago. Sitting in the counselor’s office, three feet away from Don as he asked me if I’d like to go to the University of Chicago, still seems unreal. Yes, a tear or two may have prickled my eyes. Yes, hugging, happy dances, and shouts of congratulations may have occurred afterwards. The happiness from this news was enough to bolster me through the UChicago summer application process. Having the ILC helping us during the application process made life so much easier; I’m sure my actual college apps will be a breeze. The Meet-and-Greet with the cohort was awkward at best. In a way, that was also another milestone. That day at Mountain Mike’s was the first day I met a group of people who I have now become close to. People who have been through the same trials and experiences as I have; people I most likely wouldn’t have become friends with under normal circumstances. We all got more comfortable with each other at the School Board Meeting. Though nervous being on television, I felt proud to be a representative of my school. The first alumni dinner... The first of many. Ah, the first alumni dinner. It makes me marvel at how big a change the ILC has made in me. I recall quietly sitting at the dinner, occasionally making remarks, allowing Ms. Kronenberg to direct most of the conversation. Now I compare it to our University of Pennsylvania alumni dinner, where I was able to engage in conversations with multiple people, acquiring information about Penn, the admissions process, and the admissions officers’ job experiences. 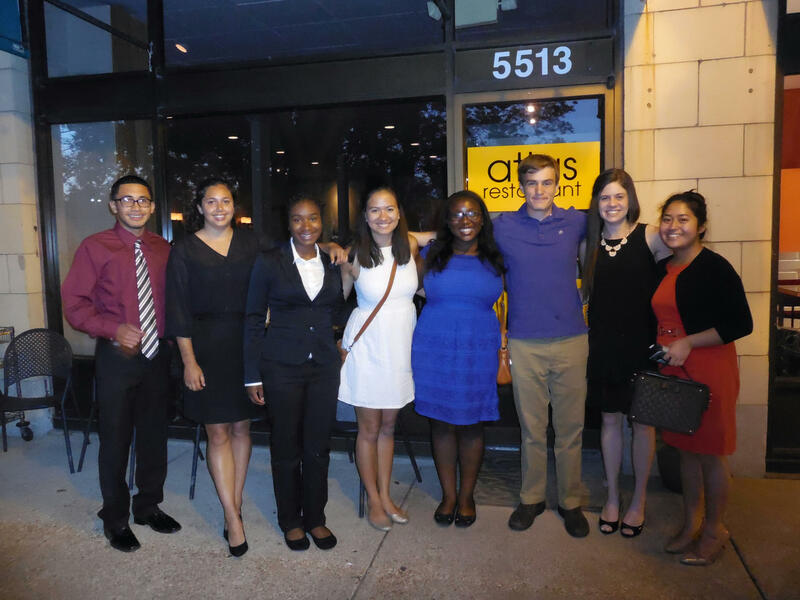 Then I compare it to our very last alumni dinner with the University of Chicago, which was full of loud laughs and entertaining—and informative!—college tales. Travelling with the cohort and getting to see the Gateway Arch, Basilica of St. Louis, Old Courthouse, St. Louis Zoo, St. Louis Art Museum, White House, Washington Monument, National Mall, Lincoln Memorial, World War II Memorial, Healy Hall, Independence Hall, Liberty Bell, Cloud Gate, Navy Pier, and more was such a great experience. 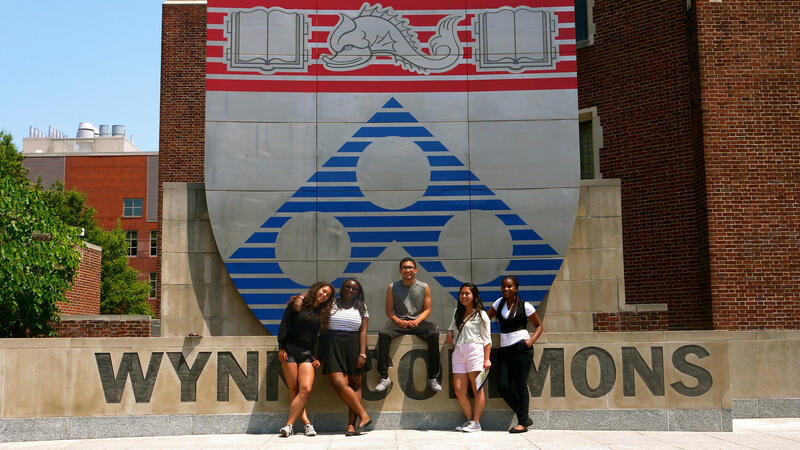 The tours and information sessions we were able to attend at Washington University, Georgetown University, the University of Pennsylvania, Northwestern University, and the University of Chicago were also highly helpful. However, the alumni dinners were what really sold me on some of the schools. I found that the info sessions didn’t give me nearly as good an understanding of the school and students as alumni dinners did (dinners made possible by the ILC, of course). I won’t even attempt to sum the Biotechnology class at UChicago in a single word. It was such a whirlwind adventure! I’m going to be completely honest and admit that the first few days were difficult. The lectures were above my understanding, the daily lab protocol quizzes we took each day were hard, and I struggled to learn the basics in lab—how to pipette, calculate certain equations, or use special microscopes. I won’t lie and say that balancing studying, doing homework, blogging, and socializing was easy. It wasn’t. What every student at every alumni dinner said is true—time management is everything. I haven’t yet mastered managing my time, but I’ve definitely improved. During the second week, I started understanding the lectures, getting better grades on my lab protocol quizzes, and doing really well in lab! I still remember the day Dr. Bhasin told April and I that we did well on the plasmid preparation. I was ecstatic! Labs were all uphill from there. I began the class without a clue on how to use any of the equipment and ended being a pipette professional. 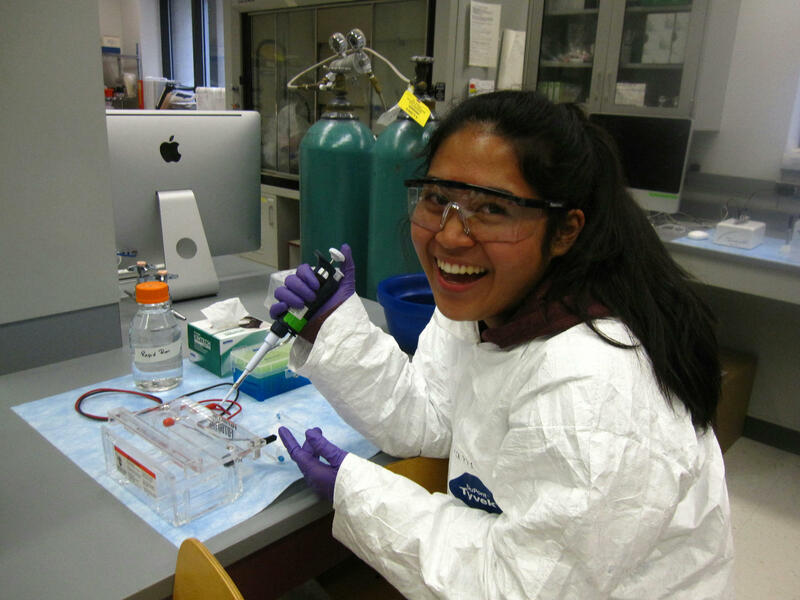 I was just posing, not actually pipetting anything. Hope you can see my enthusiasm, though! Though the beginning of the class was discouraging, how quickly I was able to pick up labs and do well in them is encouraging. Knowing that I, an insignificant Middle College student with zero lab experience, can do as well as someone who has done the same lab once or twice before, makes me feel proud of myself. There is no such thing as a smartest person. I learned that early on at UChicago. Everyone, it seems, still has so much to learn…and we can learn that with and/or from those around us. There were people around me who would stay up all night doing their work, and it encouraged me to keep going. I love how a simple smile or a supportive “Good luck” whispered across the room late at night is enough to keep me going. I can’t wait to feel that in college; that feeling of support among students all chasing after the same thing—success. This whole experience has shown me what hard work can do. All those long nights blogging, writing reports, or preparing for presentations or discussions are definitely worth it. You earn a wealth of information and hands-on experience that all pays off, in the end. I came into this program very unsure of myself and whether or not I’d succeed. Now I know the equation to success—hard work, good time management, and drive. Of course, without the ILC I wouldn’t have known this, just as I wouldn’t have discovered my love for Wash U, UPenn, or UChicago. I probably wouldn’t be thinking of leaving California for college as seriously as I am now. I wouldn’t know that private colleges with huge endowments can help save more money than UCs. I definitely know I wouldn’t seriously be considering research or forensics for my career. I wouldn’t have met April (my lab partner), Peace, Megan, Demi, Lulu, Wister, Kaitlyn (my roommate who I just talked to today! ), and others. Of course, without this trip, I wouldn’t have met the cohort and Alie. We joke that we’re the Breakfast Club—the likelihood of the five of us becoming friends without this trip is slim. If ever you five read this, thank you. Vicky for the card and going to CVS for me, Oyin for waking me up and making sure I ate, Alexa for staying up with me, Jimmy for the card and advice, and Alie, of course, for taking care of us. I’m so blessed that I was given this opportunity of a lifetime! Being on this trip and seeing what I’m capable of doing in three weeks has been eye-opening. It’s shown me all the things I have yet to learn, as well as all the places I can go in life. It’s been a humbling, encouraging, demanding, informative, and exhilarating trip. I’ve loved it. The best part about it is that this journey hasn’t ended yet—it’s only begun. My first time sharing my experience was yesterday, at the MCHS freshmen orientation, and I don't plan on stopping there! Words cannot express how thankful I am to the Ivy League Connection—to Don, to Ms. Kronenberg, to Mr. Ramsey, to all of the sponsors. Thank you! My experience with ILC was a whirlwind from start to finish. Because my sister had taken in part in it a few years before, I had heard about the ILC before the presentation that they give every year at each of the schools in WCCUSD. I was younger when my sister participated, so I did not fully understand what the program consisted of, but I knew I wanted to eventually be part of it. I applied to a course called Women in Leadership at Brown University, as well as Biotechnology at Brown University. I was accepted for an interview for both, but did not make the final selection for either. I felt that at that point, I was done and that maybe I would apply the following year. One day while sitting in class, I got a call to come down to the principal’s office where I saw Don. It was explained to me very quickly that Chicago was offering a scholarship for multiple students, including myself, and that I needed to decide if I wanted to take part right away. I said yes, of course. This was an amazing opportunity. One unique aspect of my ILC experience was that I had a choice of what class I wanted to apply for while already being accepted to the ILC. There were about seven or eight classes to choose from, and about two I really wanted to apply to. The first was Contagion because of my interest with health and medicine, and the second was Developmental Psychology for the same reason. I eventually decided that if I got accepted, I would take psychology because I felt I knew less about it. The application process turned out to be a lot more than I expected because I had to apply to multiple programs, in case one class got filled up. Luckily my top choice class was available. Right away my cohort was informed of multiple events that were coming up shortly. These included a meet and greet with our chaperone (not very high pressure), the school board meeting, and the dinner in San Francisco with admissions officers and alumni. 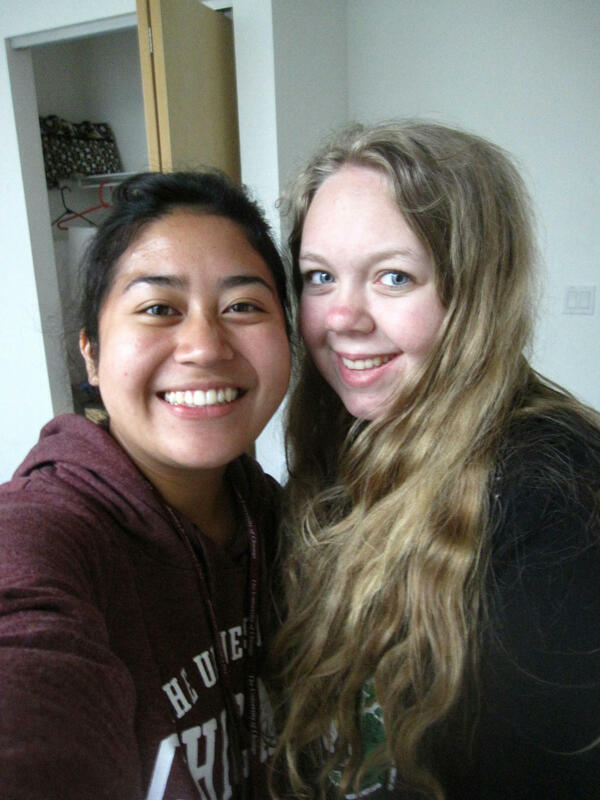 Meeting Alie and my cohort was exciting, but we did not really get to know each other much better until our first week of traveling. The dinner in San Francisco was a preview of what our first week of on the east coast would look like. One skill I feel I developed while away is the ability to converse with strangers. At the first dinner, the dinner in San Francisco, I was nervous about how to engage in conversations with people I did not know because I am not so extroverted. 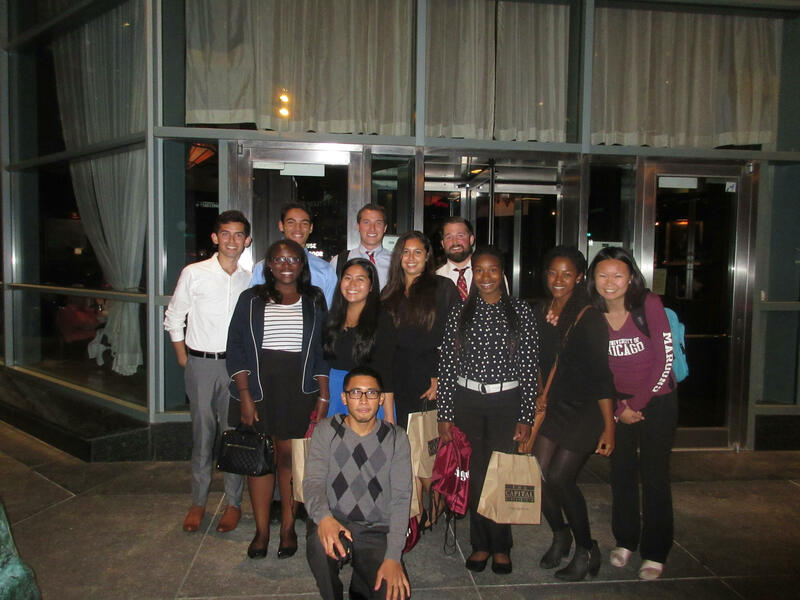 By the last dinner in Chicago, I was not nervous about talking to the admissions officers and asking questions. Just being part of these few dinners helped me feel like I had expanded socially and become more comfortable with people I am not necessarily close to. Our first week was filled with non-stop traveling, touring, and dinners. Each college I visited seemed to appeal to me more than the last for the first couple of days. I really enjoyed the campuses, but after a couple of tours I started to notice what I did and did not enjoy about college campuses. I found myself preferring campuses that were within a city, but still had defined campuses, like the campus of University of Pennsylvania. Another thing about attending so many tours and information sessions is that because when they begin to sound similar and scripted, it is easier to spot the differences. Before we left, each of us was required to blog about one college we were going to be visiting. We may have learned a lot about the college, but you simply cannot tell if you are going to like a college or not until you visit it. 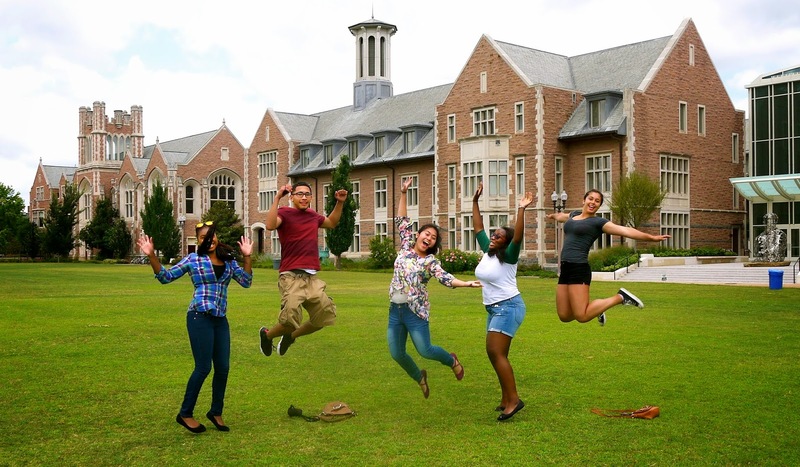 There is a certain factor that clicks with people at certain colleges, and you can’t get that factor without visiting. 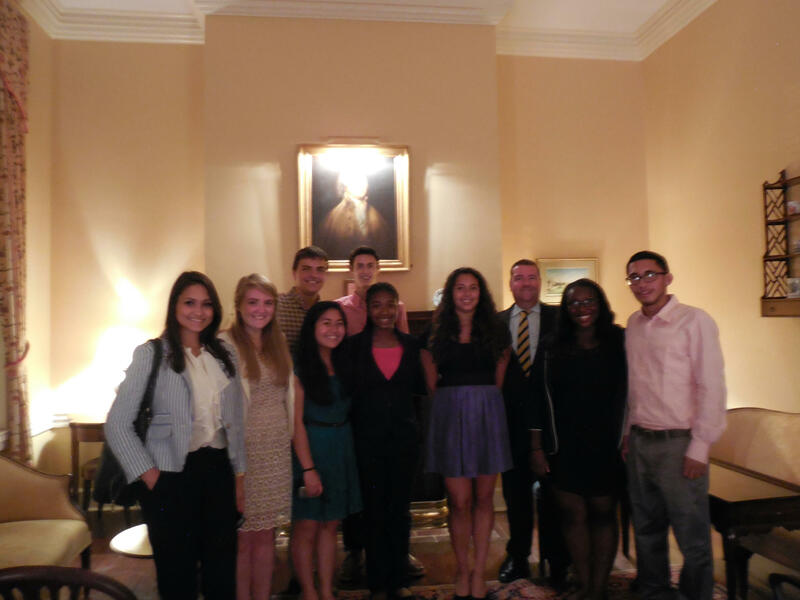 Talking to students at the dinners was also very beneficial. Although they were usually students who worked in admissions and who were used to talking about their school in an exclusively positive light, I feel like I saw their school in a new light after hearing what they had to say. I got a feel of whether or not I would like a school based off of their experiences. For example, Peter, a UChicago alum, told me that UChicago had a big focus on core curriculum and humanities in particular in the core. He told me that since he was really interested in literature and philosophy he enjoyed UChicago, but for someone who was not so interested in this it might not be the best fit. The class I took was really interesting to me. Even though I might have been tired because of long nights, I was always very engaged in the discussions in the class because the content was stuff I would want to learn about even outside of the classroom. One of the greatest aspects of the classes at UChicago in my opinion -- not just my class, but all of the Insight program classes -- was that they all had about 15 to 25 students maximum. I heard of no one taking a class with more than 22 students. The small class size allowed for students to actually form relationships with each other and with the professor. Last summer, I took a summer class, not through ILC, at Brown University, and the class I was taking had more than 100 students. Even though that might be more like an actual freshman class, just for the summer experience I enjoyed having fewer people in the class. The class was short and intense. We had a lot of content to learn and activities to do in a very short amount of time. We read multiple chapters of the textbook and research papers, as well as doing a study with children. For this study we had to write a research paper as well. It was a challenge learning how to manage my time to read a good amount of material. By the end of the first week in the course, I had figured out how to read efficiently enough so that I could hold my own in discussion the next day, and still not spend my whole day over a book. Unfortunately, I did not get into the city as much as I wanted to. We went to see the landmarks and to eat deep-dish pizza, but I would have enjoyed spending more time downtown. It was unfortunate because Chicago is such an interesting city that we were so close to, yet spent little time in. Overall, I felt as if my time traveling on the east coast and my time in Chicago was full of learning experiences and because I was always so busy, it felt like it went by so fast. I never would have thought that being woken up from a cold induced nap would bring me such out of the world news like I had been chosen to attend the University of Chicago. I only expected my summer plans to be affected, I never expected that I would learn a lot about myself or that I would take away so much from this trip. Along the way I’ve met some incredible people and I have gotten a lot closer with the four incredible people that I traveled with. I think it would be best for me to start at the beginning and explain how the UChicago group got chosen. I had originally applied for another program and I made it to the interview round. I didn’t get chosen and I felt like going home and locking myself up in my room. As much as I would like to say that the rejection didn’t affect me, I know that I can’t. I was too overcome with disappointment in myself to apply for another program that ILC had to offer. 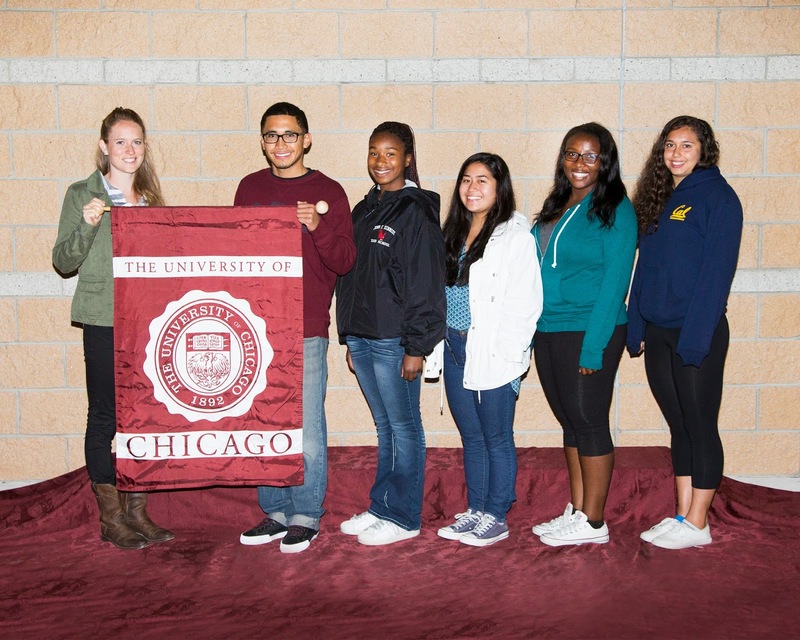 Before I had been chosen to go to UChicago, I regretted my decision and wished that I had the opportunity to apply again. Now that this whole trip is over, I'm satisfied at how everything played out and I wouldn't have changed a thing. Going out of state and visiting all the colleges that we did really helped me figure out what I want, need, and expect out of a school. I want a school with a strong economics program, a campus with a community feeling, a campus where the safety of its students is taken seriously, a school that has a music program that I can participate in, and a lot of other qualities. I’ve always been open to out of state schools but I didn’t know where to start so our college visits before the course started were welcomed with open arms. My favorite part of the college visits were by far the dinners that we had afterwards. I noticed that there was a pattern that each school followed in each info session and campus tour. It was when I was talking to the alumni, current students, and admission officers that I really formed my own opinion of the school and if I could see myself being successful there. In the middle of my Georgetown dinner after talking to everybody there and listening to their experiences at Georgetown, it hit me that I was envious of the others’ experiences and I started to envision myself at Georgetown. In a diner that lasted about two hours, I had changed my college choices with Georgetown sitting proudly at the top. Before this trip, I had been in denial about almost being a senior and having to grow up. I didn’t want to believe that I would have a lot of responsibilities or that pretty soon I would have to take care of myself. I will have to figure out how to get myself around potentially without a car and how to maintain a healthy balanced life. Living in a dorm without my parents and having to make decisions for myself forced me out of this little bubble I was living in, giving me a taste of what I was to expect. I had to balance taking care of myself, staying on top of my school work, and maintaining what I could of a social life. I feel like I did very well in staying on top of my school work but I would have liked to see myself get more sleep and spent more time with some of the new people that I met. I definitely spent too much time stressing over my classwork and going overboard in making sure that I understand the material. This took away from my experience in Chicago but I learned from this and I now know what I need to adjust when I leave for college. I’ll never forget this trip but I mostly I will never forget the other four students that came with me. I spent almost every day with them either eating meals or just hanging out. Long nights blogging and studying were also spent together. It amazes me how close we got in a short period of time and how quickly we were able to be ourselves. 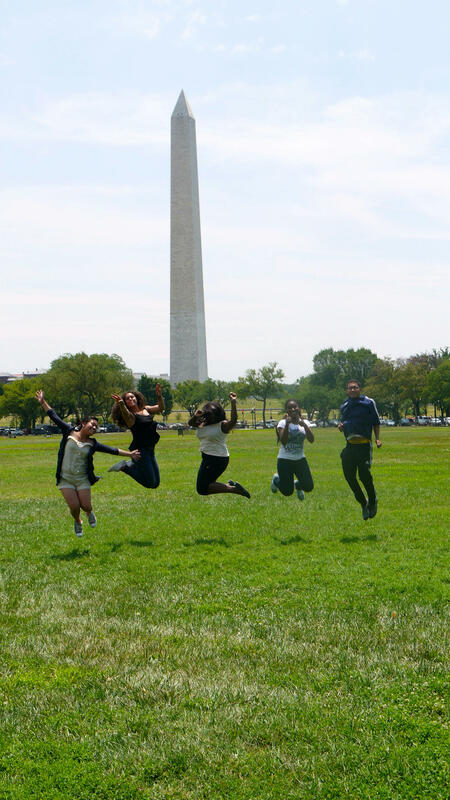 My experience wouldn’t have been the same without my cohort and I can’t imagine the trip with any other people. I feel like the pressure of my class would have gotten to me if I didn’t have the support of my cohort and I hope that I was able to do the same for them. I’m going to cherish all the memories that we made together and I hope for nothing but the best for them as they go on in life. This trip is something that I will always remember and cherish for as long as possible. I succeeded at being a college student and to a certain degree I maintained a balanced and healthy lifestyle. I learned how to speak at a higher level and the importance of backing up my words with facts. I evolved from being shy and socially awkward in front of people that I meet to being a social butterfly. I know that I am horrible with public transportation and that this is something that I need to seriously improve on. After some of the knowledge I gained about life, through the class I enrolled in, I learned how to speak business and read and comprehend a sustainability report. I can say that I wasn’t expecting to gain this much in just a short four weeks but I absorbed more than I expected. I wouldn’t feel right ending this post without thanking everybody that has made this experience possible for me. I know that it took a lot of time and effort for this to be possible and I just want to take the time to thank everybody who has made this trip to UChicago happen. I’ve made lifelong friends, discovered that I was capable of more than I thought, and I feel a lot more prepared for college and life after that. I don’t know how many times saying thank you will express my gratitude but I hope this is a start. THANK YOU. Where do I start with this magnificent trip that changed my aspects of my life. Let start in the beginning. I remembered when I was sitting down at Mountain Mike’s Pizza. The first time I met with my chaperone and cohorts. Alie; teach at Helms Middle School. Dani; Middle College. Victoria; Kennedy High. Alexa; El Cerrito high. Oyin; El Cerrito High. I was very quiet that day because they were all girls and I didn’t know what to talk about with them. But, Alie was trying to get a conversation going on between us and I felt that I was never going to get along with them. In the meeting of the City Council and School Board it was the same, I never said a word to them. Then I thought that I was going to do me and they were going to do them in the East. After the meeting with the School Board, that day I was wondering if I would be able to connect with them and find a way to start talking to them. The day of the departure, I needed to meet Don at El Cerrito High School, I was happy and nervous because it was my first time to travel away from my parents for a long time. It was my first time taking a plane too. I was nervous because it was my first time that I was going to be independent. Nervous because I hadn’t made the connection between my colleagues cohorts and I. On my way to San Francisco International Airport, I was admiring the view of the lights from the Skyscrapers. I was telling myself that I was very lucky to be on the shuttle bus on my way to an adventure that will change my life. I asked myself if I was prepared for the course of Creative Writing and if I was going to accomplish all my goals. The first week on the East, we were traveling to see universities, it was a rough week. Sleeping late because of blogging and waking up early to travel to explore the cities before we go to the orientation for the universities. 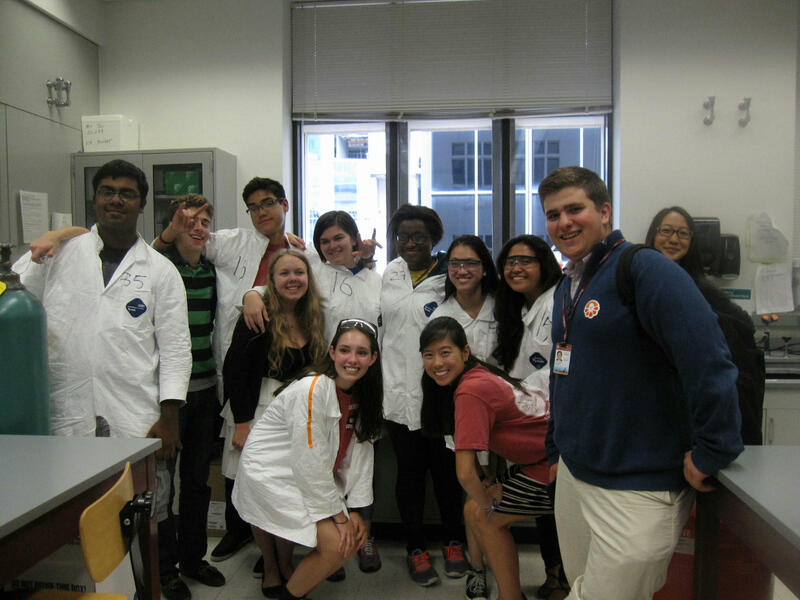 We visited WashU, Georgetown, Penn, and Northwestern. 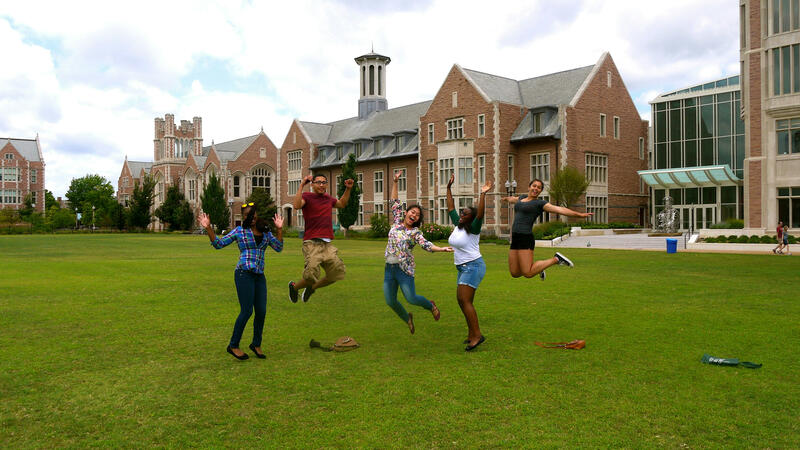 The universities I found interesting and I want to apply are WashU and Georgetown because the experiences of the alumni motivated me to apply to those schools. Not only because of that, but the schools are beautiful, close to the cities, and the people in both schools are very friendly. That same week my cohorts (friends) and I were connecting with each other and I started talking to them more. We started working on our blogs together as a group. Talked about our school experiences and what we do on our free time. It was just a wonderful week for all of us because we got to know each other more. 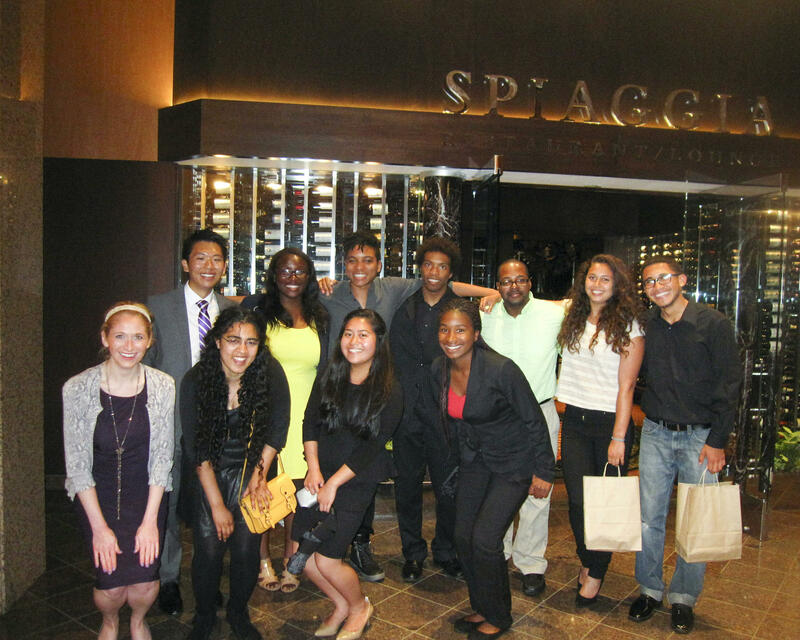 The best thing about that week was the dinners that we had with the alumni and a school administrator. I have never ate so much in life in one week. It was just food after food. But I loved that I was able to eat in those type of restaurants. I liked that every time we had dinner I improved on my socializing and asking more questions to keep the conversation going. On our free time that we had we were able to explore the cities. 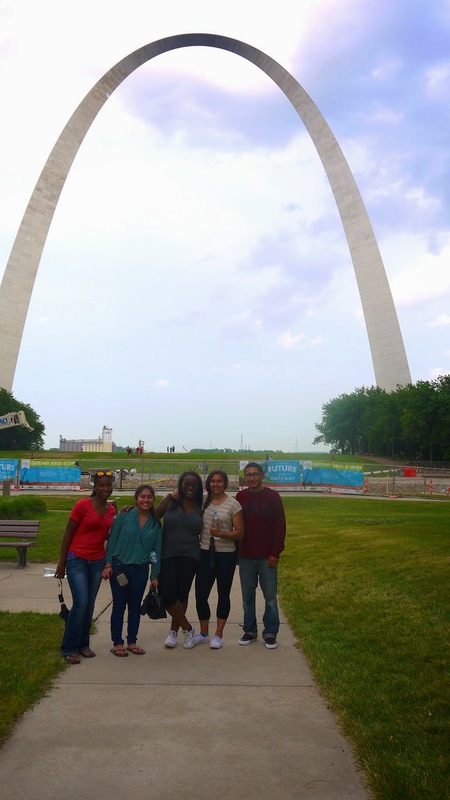 We explored the St. Louis Zoo, Gateway Arch, The White House, Lincoln Memorial, different types of restaurant and much more things. This was the fun part because I never thought I actually be able to see these places. I always used to seeing these places on TV or movies and I always imagined myself being there but I never actually expected that I was going to be there. The Lincoln Memorial was the best of them all because a lot history has happened in there and I have read about them. When I was there I imagined all those people who were there for Martin Luther King Jr, “I Have A Dream,” speech. That made my day standing there all the way back at the end of the reflecting pool thinking about all the thousands of people who were there that day. The hotels, oh how much I love the hotels. This was the best experienced for me because I always got a room by myself and that made me smile every time I went to my room. It made me smiled because I share a room with my brothers and I never knew the feeling of having a room to myself until I experienced it in the East. The best hotel was the Omni Hotel because it was a fancy hotel and I got to stay in a room that had a king size bed. When my colleagues cohorts heard that I had a king size bed for myself I could have seen the envy on their faces. That night I slept very comfortable. To bad that I only stayed for one night. It was because the next day we needed to go to Uchicago to get our dorm rooms and get ready for school to start. I was lucky again and got a room to myself. My class Cristine (pink) and Achy. Then, class started and I was taking the course of Creative Writing. My first day of class went pretty well, got to low where all my classmates were coming from. My first assignment was to write a short story about the history of one of our names. I liked that assignment because I always had wonder why my parents gave me the name that I have today. To do this assignment I needed to call my parents and asked them why the chose Josue as my middle name. My dad was not so helpful at all. On the other hand, my mom was very helpful she gave details and ideas, I was able to get my assignment done. But, as the days passed the class started to get more and more harder. My writing was not at the level of the course. Even I found out that my writing was not at the level for this course by listening to my classmates read their story and using strong and big words. This is when my passed was affecting me. When I say passed I mean my English class that I missed out from a semester of valuable English that would have prepared me more for this class. I knew that I had missed out a semester of English that’s why I picked Creative Writing because I found out that writing is very essential for everything. I wanted the course to improve my writing, but it never went through my mind that I needed to be prepared for the course. My professor, Achy Obejas, realized that I was struggling in class. Then, she talk to head of the program and recommended me a tutor because she believed that working with someone one on one will help me improve on my writing, to take advantage of the program and take all the learning I get back home. Pamela where we always used to sit. My tutor name was Pamela Lavigne, she worked in The International House where she works with all the foreign students to improve on their English speaking, listening, and writing. With Pamela I learned a lot of things. Such as, working with verbs ending, comma splice, tips for when I’m working with my writing and more. Working with Pamela made my homework more easier for me because I knew what things to look for when I am writing, but is not something you improve overnight. No doubt that Pamela is good at her job and I thank her for giving me a lot of advices for ways I can prepare myself for the applications and college . I liked that she was so nice to me and every day she had food ready for when I got there. This couldn’t happen if it wasn’t for ILC that paid for the bill and thank you for that, I appreciated. I didn’t like that I wasn’t able to explore more the campus and the city because everyday I had homework that needed to be done that same day. But, I learned that this is what college life will feels like, that sometimes you need to choose between fun and school work. If you want to have fun go ahead, but you will be the one suffering later on when you working on homework during the night. I learned that I prefer my sleep than fun the hard way, when I decided to go play soccer and left my class work for later in the night. That same day I ended up sleeping at four in the morning, not such a great idea. I met a lot of people playing soccer and since that day on when I saw them we used to say hi to each other. I really didn’t interacted with other people because almost all the time I stayed in my room. I stayed in my room because I concentrate more and when I’m surrounded by people I get easily distracted— it would take me longer to finish my work. The Last Day Exploring the City. The last week in Chicago passed so fast, I couldn’t believe they were my last days there. I learned a lot from everyone that worked with me from Achy, my classmates, and Pamela. They were a huge part of this trip too. All of my classmates were smart and I worked hard to be in their level every day. One time we had a group assignment and it was a pleasure working with them because they showed me a lot by showing me how to work with a group. In class when we used to do workshop, revise our story, and had a group critics about the stories of our classmates on what were their weaknesses and strengths, what works on the story, what can we add to make this a better story, and just giving comments to improve the stories. That was something new I learned, with this kind of skills, I can ask questions while I’m writing any paper asking if I’m getting of topic and if I’m answering what they are asking for. Pamela gave me a lot of tips so I can improve on my writing by taking breaks when I’m writing, read the sentence after you finished, look at your writing the next day, and practice on my verbs ending. With Pamela I learned that I am a physical learner, meaning that I like to move a lot and with that I can use it to work with my writing (too bad I don’t remember what kinds of things a physical learner do.) I’m going to keep on doing what I was doing with her, walking around recording my ideas, taking a fifteen minute break and do push-ups or sit-ups, and time my self for ten minutes to brainstorm. The Last Day in Chicago. The last day of class, I needed to meet with Achy one on one and talk about my grade and letter recommendation. A day before we were assigned to work on an argument about the grade we think we should receive for the class and emailed it to Achy. Achy was impressed with my last assignment, she told something that brighten my day. Achy told me it seems that I improved over the night and the work she received yesterday was a lot better than the work from the first day. I felt so proud of myself that I had improved on my writing, but that wouldn’t be a success without all the people who helped me. When I heard her saying that, that instinct moment I knew that I had accomplished one of my biggest goal; to improve on my writing. With what Achy told me, I was satisfied that I accomplished my goal and I was ready to go back home, but I knew I still had a lot to work on with my writing. My cohorts (friends) and I got very close, we were already talking to each other like if we been knowing each other for a year. I never knew this was going to happen, but I’m glad that did because they are all wonderful cohorts. I saw all of them working very hard because their classes were more harder than mine and that motivated and thought to myself if they could do it, than I could do it. They made the trip more fun and whenever we used to go to the city it was always fun hanging around with them. It was a wonderful trip having them as my cohorts. 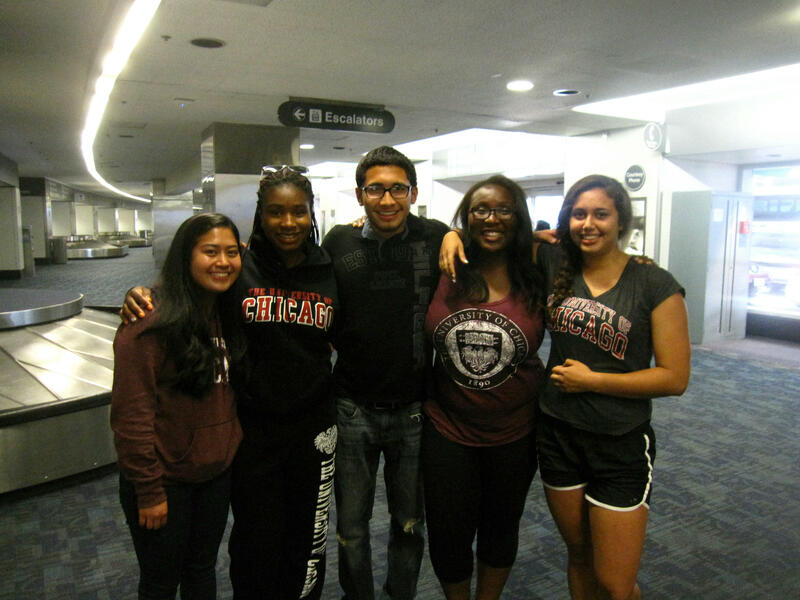 When we landed at SFO. This passed three weeks has changed my life. They have shown me that I still have a lot to learn before I go to college. I learned my weaknesses and strengths on my writing. This is very helpful because now I know what I need to work on to prepare myself for college. I learned a lot from Achy, my classmates, and Pamela. All of them taught me to push myself to do better and be better. I also learned from Kevin who was there for me whenever I needed help on my work because he took creative writing in his college years. From Alie all the tips that she gave us about how to deal with big assignments and to try to manage our time. Now, it is all up to me to keep working hard and prepared myself for what the futures holds for me. I’m going to start writing every day, start reading more (I started reading The New Moon) and I will tell my administrator from college is real, if she can quiz me every Friday with fifteen new vocabulary words that I will learn throughout the week. P.S-Thank you for this great opportunity I had a wonderful time and I enjoyed every minute of it when I was there. Thank you for all the donors that made this possible. Thank you for all the people who work in the ILC program and giving students this great opportunity. Thank you Don for putting up with all the students and for all your concerned that we have a great time on the East. Thank all of you for making this possible. For the last of our trip we caught a shuttle to the airport and got on the airplane to Phoenix and then a second plane ride on the same plane to SFO airport. On the second plane ride I tried to sleep but ended up not sleeping because the people behind me kept kicking my chair so that was uncomfortable. They were just kids and I thought it would stop after a while but no it continued until the last 45 minutes on the plane. But it's okay because I had a nice nap on my way back.We got off the plane at 4:15 because the second plane ride left 15 minutes behind. When we got to the airport we all waited to get our bags. As we waited we took a picture together.Coming home felt amazing but I had to go to a party after getting off of the plane. It was my uncle's birthday and it was in Oakland so I didn't go home until 10 PM. His party was at Hometown and then later at a bowling alley. My bag came first and my dad was already outside ready to go so I left earlier then everyone else. We were all supposed to wait for everyone to get their bags but I was already late for my uncle's party and my dad couldn't park for long so I had to hurry and leave. I really enjoyed being with everyone in Chicago and hope that we meet up again to hang out. I will miss all the people I have met in Chicago. They are cool people and even the ones from my class who didn't live in the dorms. Yet another great day has been experienced thanks to the ILC. While it was great, it was also sad. In all honesty, during the longest nights at UChicago, I doubted I would miss Chicago. Yet I keep catching myself comparing everything about the Bay Area to Chicago. I woke up, made sure everything was properly packed, and spent one last quick breakfast at the Dining Commons (I had my usual croissant and decaf lotus blossom green tea for old times’ sake). I said my last goodbyes to some of the last people I saw on campus—Kaitlyn, Maria, Lulu, and Wister. In this case, I’m glad social media exists. I wasn’t half as sad as I would’ve been, since I know they’re always a message or email away. One last picture with Kaitlyn! 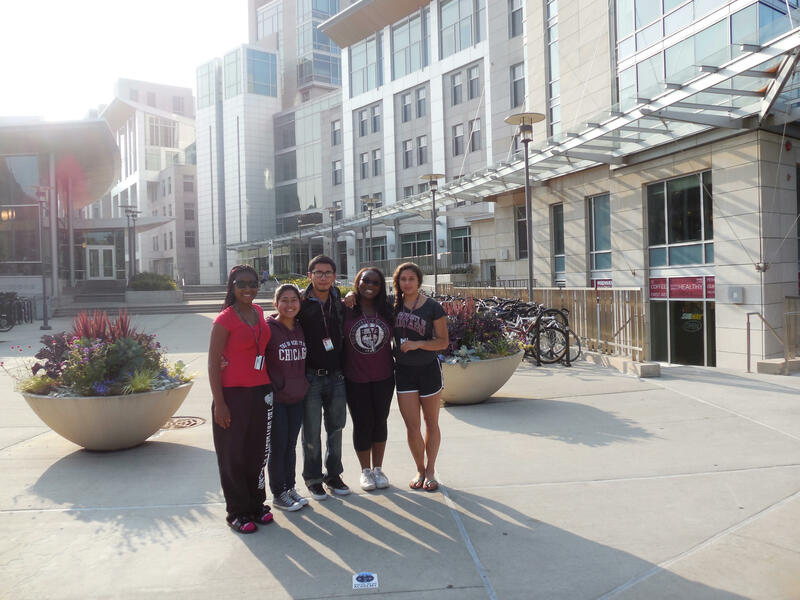 Our cohort took one last picture on the UChicago campus and headed to the airport via shuttle. Alie gave me a present for my birthday! It was this delicious chocolate cupcake and the sweetest card telling me how excited she is for my future and to feel free to come to her anytime. 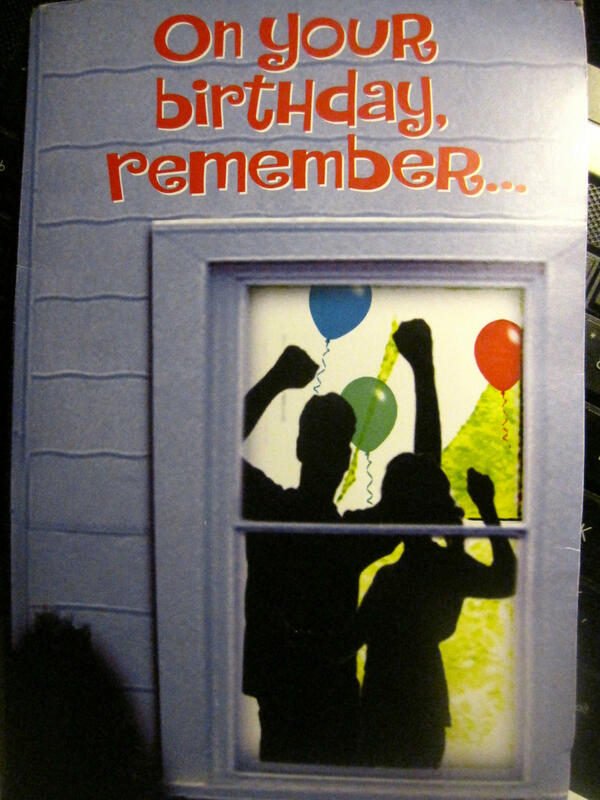 That, with the card the cohort gave me, was enough to make my birthday great. 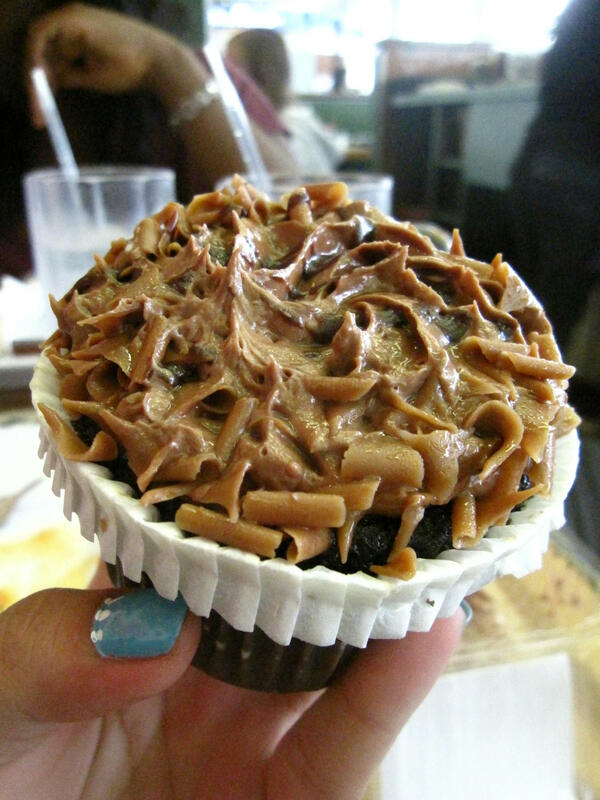 The delicious cupcake from Alie! After getting a quick breakfast of breakfast tacos and a green tea frappuccino, we surprisingly found one of Vicky’s Contagion classmates waiting at the gate to Phoenix (where we had a layover)! We all instantly started talking about what we thought about the Insight program while waiting to board. Once on the plane, I read a bit and slept for most of the time. We landed in Phoenix, grabbed some Panda Express, and waited to re-board. Once again on the plane, I finished some ILC work until the plane landed. 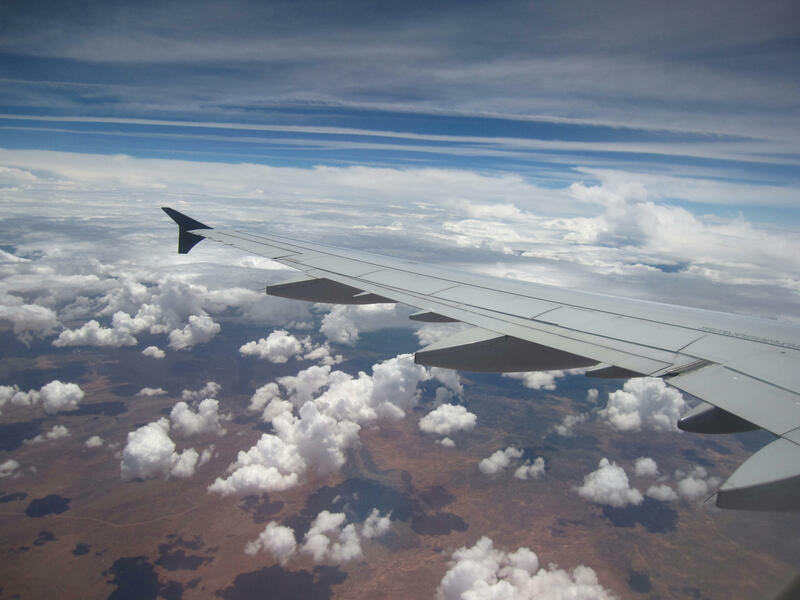 Sorry Don, I have to post at least one of my airplane wing pictures on a blog! I was so excited when the plane landed!! The only thought in my mind was that I’d be able to see my family again! We waited for our bags to arrive, took pictures, talked to Oyin’s and Jimmy’s parents, and talked among ourselves before splitting up. We all agreed to meet at least once a month to catch up with each other. I’m glad we made plans. Even if we didn’t, though, I still think our cohort would have found a way to make sure we all see each other again. I find it funny to think of the very first meet up we had at Mountain Mike’s when we all acted really awkward, and compare it to how we are now. My sister and dad picked me up from the airport. When I saw them, I squealed and ran to hug my sister when she came to help me with my luggage. I ran into the car and tried to hug my dad and sister as best as I could from the back seat. The whole ride from SFO to American Canyon (where our church is) was spent talking about the trip. I wasn’t even able to cover half of what happened at UChicago! Like I told my sister and dad, it’ll take a couple days for me to finish talking about my full Chicago experience. I didn’t realize how much I missed them until I saw them again. Once we were parked in our church in American Canyon, my dad and I got out the car to hug each other (after about a month! That’s the longest I’ve ever been away). I went upstairs, where I squealed when I saw my mom through a crack in the doorway and jumped to hug her. After attending the AY (Adventist Youth) portion of the worship, I saw my friends and other church members, who wished me a happy birthday and gave me lots of gifts! They’d planned a party! They had me do an impromptu speech on what I did at UChicago and what I thought about it. Besides that, they sang me Happy Birthday (how embarrassingly nice) and made me pose beside (the best) towers of cupcakes, which the kids crowded around. It was so great to see the kids and my friends and church members after all this time. As much as I wished to stay, talk, and eat, I decided to go into a quiet room to do the extra credit assignment for my Biotechnology class. Thankfully, I was able to do it in about 45 minutes, then went back to socializing. It was a great party. What I’ve noticed about myself after this ILC trip is how much more social I’ve become. Though I’m not yet a social butterfly, I’ve definitely gotten better at socializing. We arrived home late. I kept comparing our house to South Campus. My room—where were the huge windows? The rocking chairs? The living room—where were the multiple chairs and sofas? The foosball tables? I’m fine with my bathroom and (fully stocked) kitchen, but I couldn’t help that when my dad said, “We’re home!” I also thought of UChicago. According to Jim Valvano, it was a full day—I laughed when reunited with my family and friends, thought about Chicago and how different I am now, and (almost) cried when I saw my family. I can’t believe I’m back from almost a month long trip to UChicago; it seems like nothing but a too-fast, incredible dream. I woke up this morning with the realization that I had to go home today. It was time for me to leave my room which I have called home for the last three weeks. I wasn't getting too emotional until I saw the look on my roommate's face when I started to pack the last of my things. Lulu has been the best roommate ever and I was very sad to have to leave her and go back home. Even though we spent only three weeks together, most of that time was spent together doing our work and messing around in our room. When I was finally done packing my belongings, I said my final goodbyes to Lulu, wished her a safe flight back home to Beijing, and I went outside to get on the shuttle bus. Luckily on my way outside, I ran into Rong one of my classmates. I quickly gave her a goodbye hug and then I made my way over to the shuttle bus. After all of us had our bags placed on the bus, we made our way over to the airport. As we were driving through Chicago, I said my own silent 'see ya later' to the city before we got to the airport. We were very early when we got to the airport and figured that we had enough time for a sit down breakfast. After our breakfast, we went back to our gates to wait for our plane to start boarding. While we were waiting, one of Vicky's friends from her class was there at the same gate. She was going on the same flight as us to Phoenix because that's where she lived. After we boarded our plane and took off into the air, I immediately fell asleep but I kept on waking up every half hour. It was in the Phoenix airport when we were getting lunch that I began to process that I wouldn't be able to see my cohort everyday anymore. 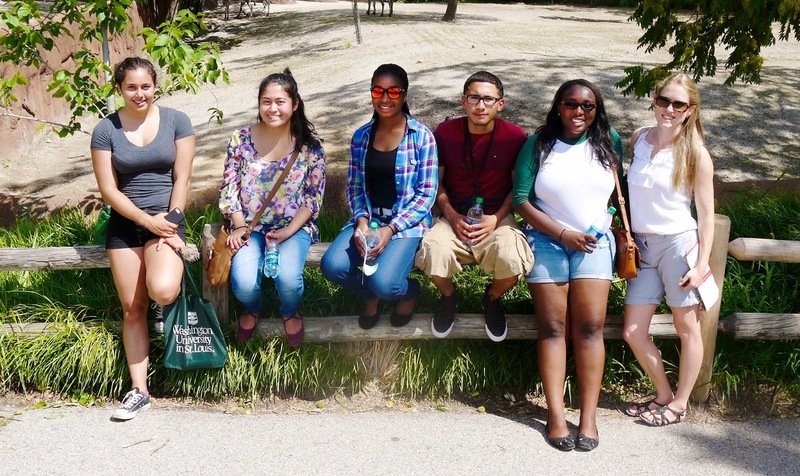 We all got really close these past few weeks and spent most of our time in Chicago together. During our lunch, we took the advantage of the time that we had and spent most of it laughing and joking with each other. When we boarded our plane for San Francisco the excitement was written clearly on everybody's faces. We were finally going home. I didn't sleep at all this time around and the minute our plane touched down in San Francisco, I unbuckled my seat belt wanted to run off. I had to wait for a few minutes unfortunately but it still felt good to be back home. We made our way to baggage claim and that was where we started to see our parents. Seeing how my mother ran up and hugged me the moment she saw me, I think it's safe to say that she missed me and was happy that I made it home safely. After we all got our bags, it was time to say goodbye and go our separate ways. Nobody cried but I think we all know that it's going to be strange to not be able to see each other everyday like we used to. We've had countless meals together, we've blogged together almost every night since we left, we've stayed up late studying together, and most importantly we've made memories together that we won't forget anytime soon. My experience over the last month wouldn't have been the same without my cohort around me and just want to take the time to thank Alexa, Jimmy, Dani, Vicky, and Alie for making this past month one of the best in my life. Click to see page views and other stats!